Your consciousness is constantly evolving. Every second of every day, you are creating and recreating your experiences in an endless, glorious dance that we call Life. You are on a continual spiral of evolvement. What soul music are you tuned into? What is playing in your ear? What sounds fill your head, your heart, your very essence? You are building your life according to the music you choose. That’s right. You get to choose the songs, the symphonies, the noise, all of it. The nature of your life, your relationships, your money, your work, in fact every aspect of your daily life is chosen by you. The consciousness of who you are right now attracts and creates all your experiences. Do you have what you desire? Do you have dreams? What about your goals? Are you living the life you would really like to have? If your answer is not affirmative, you need to address this question of consciousness. It is also your accumulated wisdom about how stuff works. You have sorted out a few things in your life and found some answers to key questions and all of that is stored as consciousness. It is your worldview. How your experiences relate to the perspective you have of how the world is and must be. One would also be able to call it mindfulness, an understanding and insight into your world and how it is happening. Essentially, you are Body, Mind and Spirit and all of it is vibrating energy. Everything is vibratory and you engage with this vibratory energy with all of you. You utilize all the parts of you to taste, feel, love, pray, laugh and all of it is part of your consciousness. You are your consciousness. All of you. It is the process of developing gradually. Of spiraling through your life experiences in a continuous upward, expansive and enlightened movement. You experience your life’s circumstances in a certain way and when you are no longer satisfied with who and what you are and you would like to experience something else; you restyle, recreate, shift, transform and then move into the new way of life you developed. You emerge enriched into the place where you now want to live and experience life. It is a constant spiral of evolvement into what your heart now wants. To what is now the next highest version of you. WHAT ABOUT TOOLS FOR THE JOURNEY? 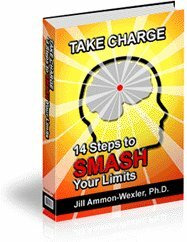 There are many tools available to assist your personal growth and empowerment. •	meeting new people with just the right information. Because of the Law of Attraction being a universal law by which all things are created and manifest, the nature of your desired experience will send out a vibration and the matching vibration of the journey tool will appear. However, you have to be alert, use your intuition, your spiritual knowing and then allow it into your plan for expansion. •	Understanding the Cycles of Change. Where are you in the cycle right now? I invite you to join me on this continuous journey of expansion. Come for the joy ride! Be conscious about your evolvement. Make this blog part of your evolving consciousness journey. Subscribe here. Take a joy ride on the evolvement spiral! Claim your stake in our store. Grow, man grow! Your energy shows your colours! Your aura is truly you. Change how you feel - it changes your vibrations and your colour. You constantly transmit all of this to our world. Your subconscious holds the key to all of your beliefs. Every single one! Change? Hmm...only if you can unlock your subconscious where all your beliefs are stored. Transformation of your life through spiritual alchemy. Use Diamond Light Work to stand fully in your life! Overcoming your Fear will escalate your consciousness into the Light! Forgiveness - a great self-help tool! Living free_from_fear into a life of Joy! Becoming free_from_fear allows you to create and recreate the life you really want! Why do you shout when you are angry? Why whisper when you are loving? What is your heart talk revealing? Awaken Your Intuition! YOU Are The One you have been waiting for! Love languages spoken truly, means you have to have their vocabulary! Self-Appreciation is, of all the developmental tools, the most important. Appreciation for who you are is the key. The Golden Key - a practical recipe for getting out of trouble and solving problems. Your thought energy is alive and attracting! Your every thought is weighed and measured! Thoughts are magnetic vibrations. 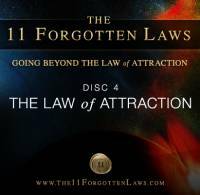 They form the basis for the Law of Attraction. I need to change my negative thoughts. But how? They keep coming up! You are vibrating energy and constanly evolving, changing. Is this for real? YES! But how? Who_is_in_charge do you think? Your mind? Your intellect? Soul perhaps? Brain development. Your Thinker and You! Your brain development never ends...and there are so many tools! Right brain connects to the inspiration and the vision. Man, you are smart! Your thinking skills are so varied and you have multiple intelligences in many directions! Art is both a reflector and creator of consciousness. Inspirational art is a lifter of the spirit. It moves you, shifts you and adds dimension to your life! your soul memories are stored in your personal soul bank. When your buttons are pressed, you transact! Enhancing your own adult stem cell system is the NOW way towards great health! Your stem cell enhancement is helps your transformation spiritually. Global warming reasurances as given in a Kryon channeling. Humility is NOT about denying your power or proving your worthlessness! Kryon shares that DNA healing is real and can be done by you! Oh, Wow! Are you leading or are you following? 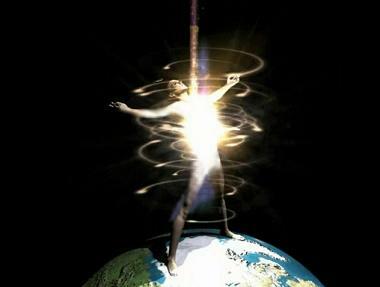 Lightbearer, you bring love and light - You Can Change The World! Non-Attachment, as taught by Tobias, is saying that in most things, it really doesn't matter. Tobias is an angelic being who is part of the Crimson Circle. Before you reincarnated into this_lifetime, we had this conversation. Remember? Sharing me with you is about recognizing that we are one.